If you have a question, or would like to schedule an appointment, contact us by filling in the inquiry form below. Clicking the “Submit” button below constitutes your express written consent to be called and/or texted by TDDS Technical Institute at the number(s) you provided, regarding furthering your education. You understand that these calls may be generated using an automated technology. TDDS Technical Institute has several programs approved for Veterans Training. Those Programs approved for Veterans Training are both Truck Driving Programs and the Diesel Technician Training Program. 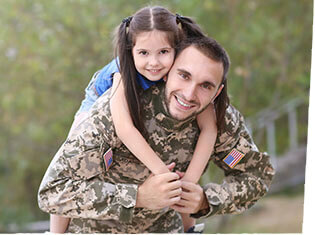 TDDS has several options available to Military Personnel and their dependants.